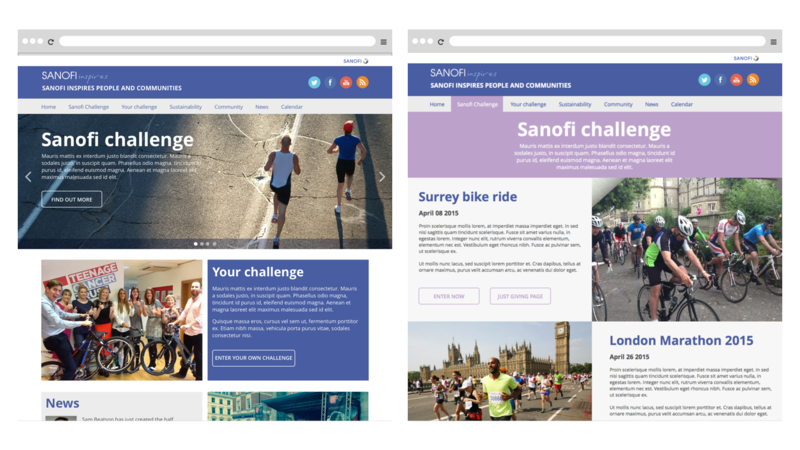 With lots of charitable initiatives taking place within Sanofi for the Teenage Cancer Trust, Bang were tasked with creating a website that allowed not only Sanofi employees, but the wider public the ability to promote and share their charitable activities. 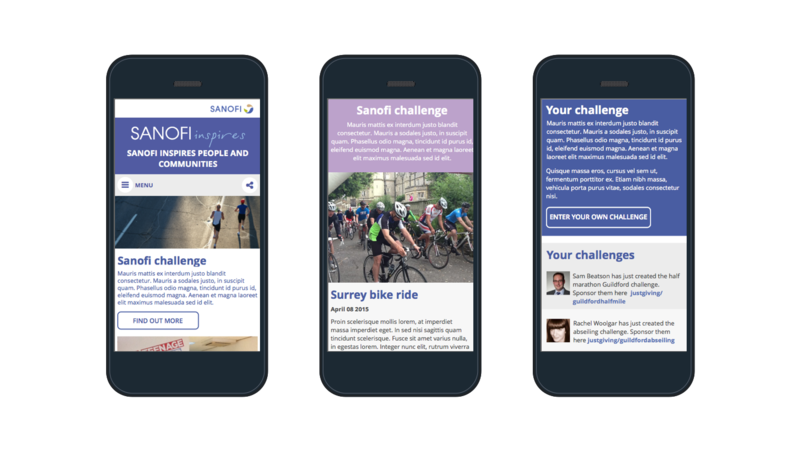 Having gone through a number developers and development cycles, Sanofi were looking for a Corporate Social Responsibility Drupal website that was simple for visitors to interact with, but also easy to manage and update. 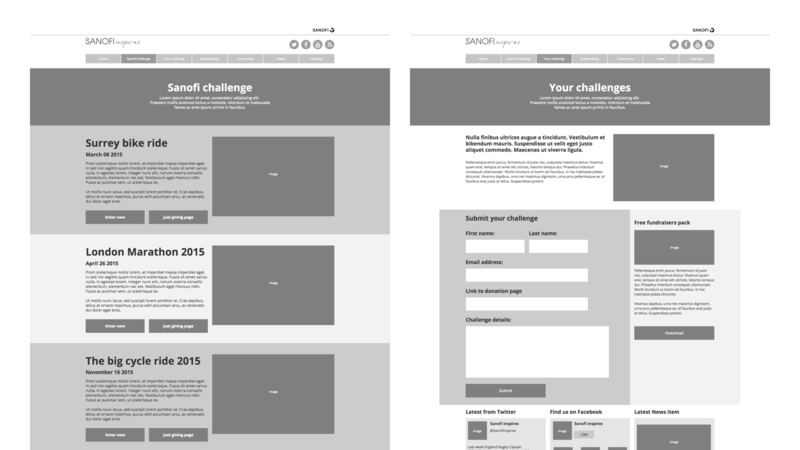 It also needed to allow users the ability to submit their challenges for good causes, simply, without any complicated form filling fuss. Packaged into this, was revitalizing the outdated design, giving the website a makeover and stripping out any unnecessary information. 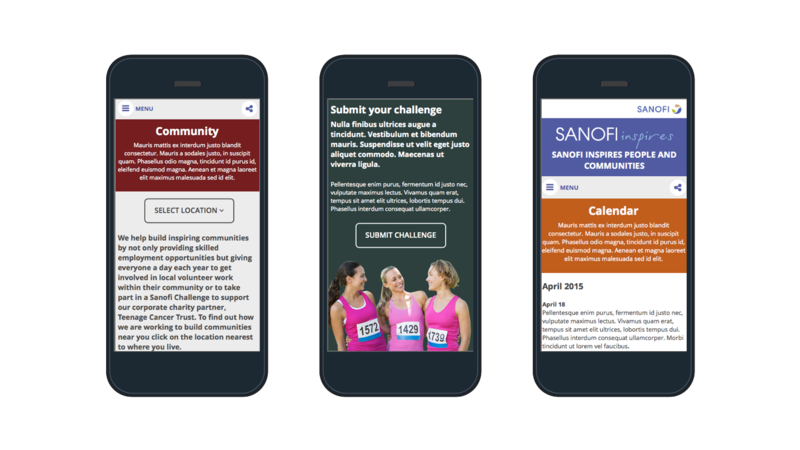 Having listened to the objective, and dug deeper into the core audiences and key messages, we set about creating a website that embraced user generated content. 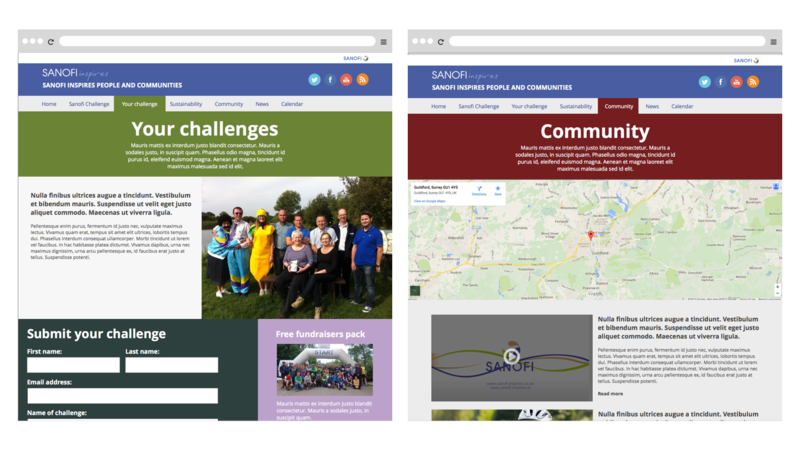 We used dynamic content feeds on the homepage to present user generated content – which was easy to manage and kept the site up-to-date. 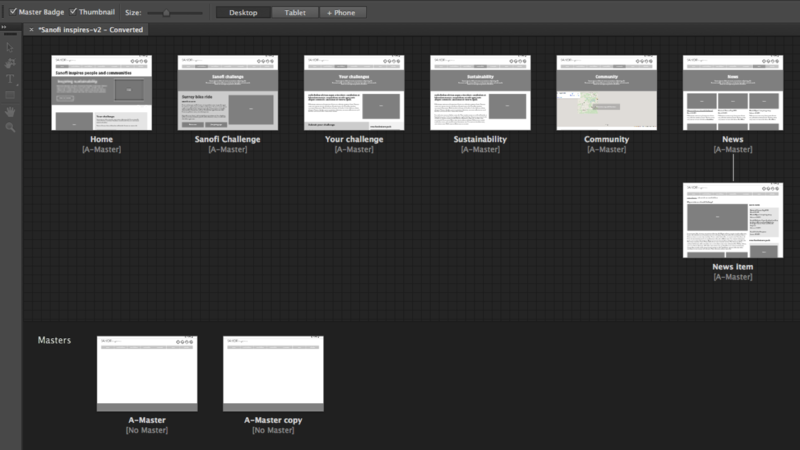 For user simplicity we looked in detail at the charitable activity submission process, stripping out any unnecessary information. 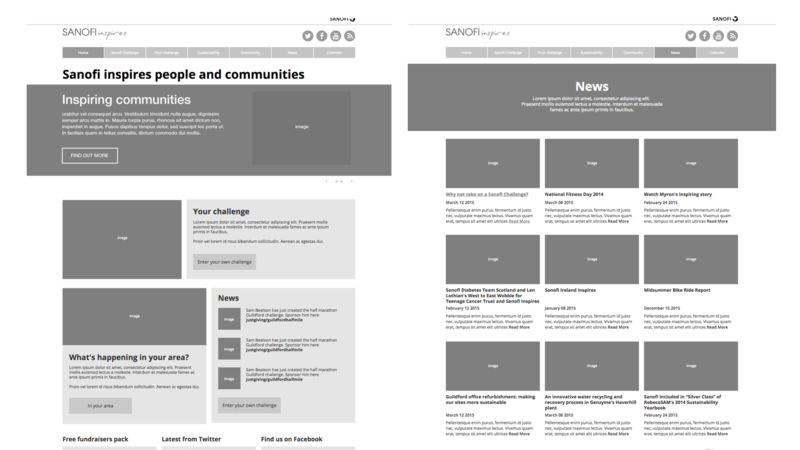 Whilst also reviewing the design, the content on the site was refreshed to embrace a new friendly and professional tone. 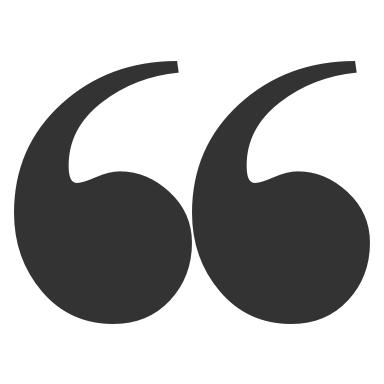 To help with the day-to-day management of the website, we used no nonsense editing tools that allowed for edits to be made directly on the page. They understood our needs and objectives quickly and delivered a creative solution that met our specifications, and with good support. I would recommend working with Bang.